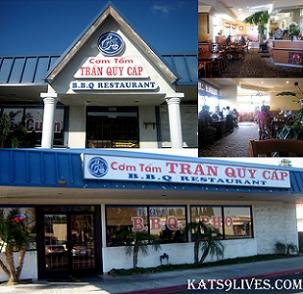 Kat's 9 Lives: Cơm Tấm Trần Quý Cấp : OMG! Just Bad! TL and I both ordered an Vietnamese Ice Coffee. When they say ICE coffee.. they truly mean it. If you look at the picture you will notice the ice is crushed and filled to the brim. There really isn't much space left for coffee since the structure of crushed ice can fill in any spacial opening. 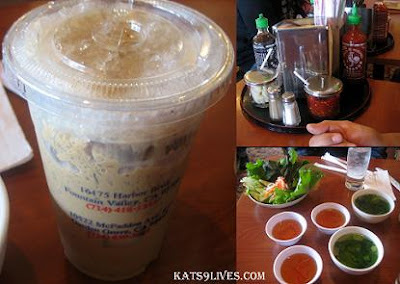 As for the taste, it was your normal Vietnamese Ice Coffee. We started off with Chả giò, Fried Vietnamese Egg Rolls. How can you say no to fried goodies? I can't, but I should have here! Traditionally you are given an array of Vegetables and Sweet Fish Sauce to eat the egg rolls with. There were a lot of air pockets caused by the fryer. The skin they used was a bit different from the other Vietnamese restaurants that I have been to. I was not fond of the filling and meat used inside the egg roll. 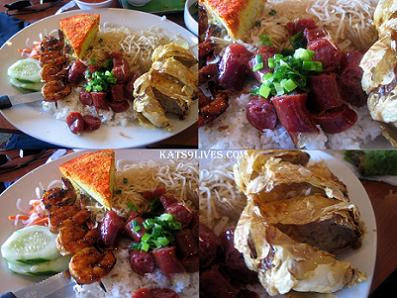 The meat tasted like a very low quality meat and egg cake, more egg than meat, that they serve with the broken rice. Lets just say that most of us didn't finish an entire egg roll. Another common appetizer we ordered was the Nem Nướng Cuốn, which are Spring Rolls but the English description they used was Pickle Pork Rolls. Hmmm, maybe I should have paid attention to how it was described. Normally I love Spring Rolls because they are so refreshing and tasty. The color of the meat was a little put-offish, the roll was thinly strung together, and there was no crisp to each bite. I think we were all quite disappointed from the taste and texture of their Spring Rolls. 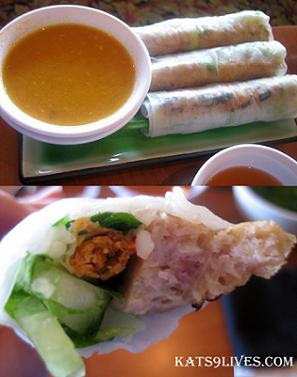 My favorite Spring Rolls are still from Cơm Tấm Thuận Kiều. As the meal did not seem to be promising, the main course came... at first glance I knew it was going to be a DISASTER! I ordered the Combo #6 Tàu Hũ Ky, Tôm, Lạp Xưởng, and Bí Chá. It's Rice with Fried Shrimp Cake, Shrimp, Vietnamese Sausage, Shredded Pork, and Egg Cake. The main thing I was looking forward to was the Shrimp Cake wrapped in Tofu Skin and fried.... unfortunately it looked like it was fried to HECK! It looked dry and overdone. The grilled shrimp skewers was flavorful but way over grilled as well. I thought the Vietnamese Sausage was very similar to Taiwanese Sausages. The dish as a whole was a huge let down and just bad. To put it simply, I took everything home because I refuse to shove another bite in my mouth. It is just not worth the caloric intake. Greetings! 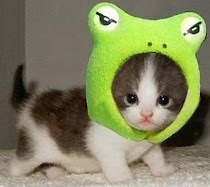 Thanks for adding me on Foodbuzz. 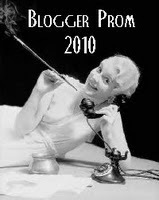 I figured I'd start my morning off by browsing through your blog. I've had good Vietnamese, but that your latest adventure sounds like a nightmare. I got the Canon Powershot SX10IS you list in your Amazon sidebar a few months ago. It's a dream! Can't say I've ever been happier with a camera. Well, happy eating! I'll be back often to visit you site. Thanks for accepting and visiting!